Whether you believe the Fox sisters possessed supernatural powers or were masters of deception, one thing is for sure. What began as a rapping on the wall quickly became fame & fortune. 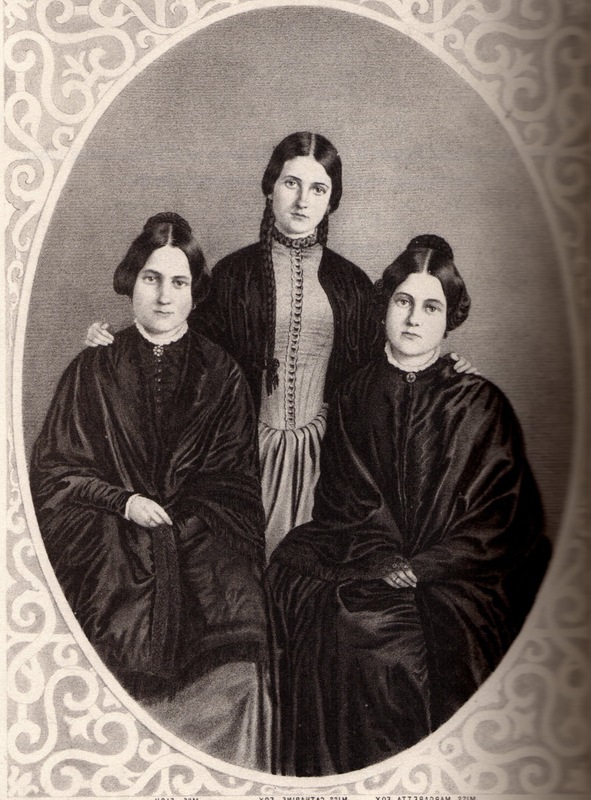 Spiritualism was at its height & provided a platform for women to speak out. Death & the Maiden’s Sarah Chavez explains that women became influential, powerful and financially independent for the first time in America, all because they could supposedly speak to the dead. At first, the rappings and strange noises were mysterious in nature. 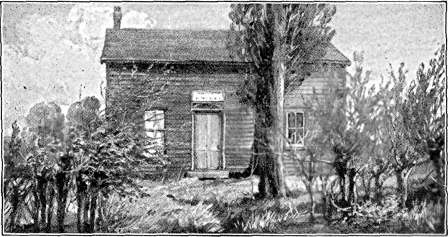 They were especially unnerving to Mrs. Fox, who had moved into the little house in Hydesville, New York with her previously estranged husband and three children only weeks prior, during the winter of 1848. As time went on the rappings continued with more frequency. First at night, then spilling over into the waking hours — from the floor, the walls, the furniture — or anywhere the Fox girls happened to be. It was not long before 14-year-old Margaret and her sister, 11-year-old Kate began to engage in a discourse — with the dead. One night in March Kate addressed the noises directly, calling out, “Here Mr. Splitfoot, do as I do,” and knocked a number of times on the floor. Mr. Splitfoot obliged by responding with the same number of raps. 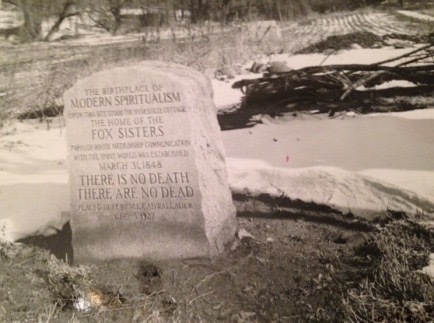 It wasn’t long before the Fox’s had devised a method of communication with the “spirits.” Soon, a horrible story was revealed — that of a salesman who was murdered by having his throat cut with a knife then, buried in the cellar of the house. The Fox family invited neighbors and people fishing at the nearby creek into their home to witness the strange phenomena. All of them heard the same series of questions and answers. Many more came throughout the night, for word spread fast in the little town. Under Leah’s management, Margaret and Kate were soon in high demand to conduct séances. Once guests arrived they would seat themselves around a table. The girls would begin by reciting a prayer, singing a bit and then, either Margaret or Kate would fall into a trance. On November 14th, Rochester’s largest Hall, seating 400, was rented out. The local paper, the Daily Democrat, reported that those in attendance were in the best possible humor, ready to be entertained and watch Fox sisters be exposed for perpetrating a fraud. This was not the case and, in fact, the paper later reported that the “ghost” was indeed among them. Skeptics demanded an investigation. In result, over several nights live demonstrations were held. Here, the girls were subjected to being placed on glass, on pillows, their feet placed in shackles and probed by a subcommittee of ladies to search their bodies for concealed machinery. Nothing even remotely suspicious was ever discovered. On the final night of demonstrations, a barrel of hot tar that had been hidden was discovered and removed, the non- believers lit fireworks inside and attempted to storm the stage. The Foxes were escorted to safety by the police. 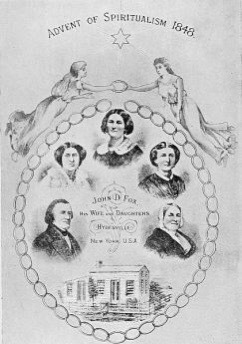 All this publicity ensured that theaters showcasing the Fox sisters’ demonstrations were sold out. They began receiving invitations from some of New York’s most illustrious citizens to hold these “conversations through the veil” for them. The girls were bona fide celebrities and merchandise featuring the girls was quite popular. People would wait in line for hours for a chance to see these two young mediums, for a chance to hear something, anything from a loved one who had died. 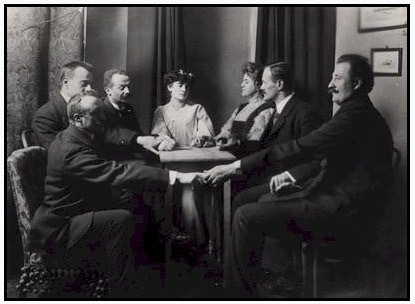 The Spiritualist movement parallels the women’s rights movement in many ways. Of course, as author Ann Braude states “Not all feminists were Spiritualists, but all Spiritualists were feminists.” They took up issues of marriage, labor, women’s health and dress reform. In the Spring of 1854 the Spiritualist movement in America had grown so much that it received the attention of congress. Senators from Illinois and Massachusetts presented a petition requesting the appointment of a scientific commission to study spiritualist phenomena. Meanwhile, the three Fox sisters were holding onto the foundations of their familial relationship by their fingertips. Leah distanced herself from her younger sisters to become a medium in her own right. Margaret fell deeply in love with famous Arctic explorer Dr. Elisha Kane, who held a deep disdain for the Spiritualist movement and forbid her to continue in it. Kate married and moved away to England. She continued to conduct séances, but refused payment for them. As the years went on Leah dug her heels into her celebrity and society and authored a book. 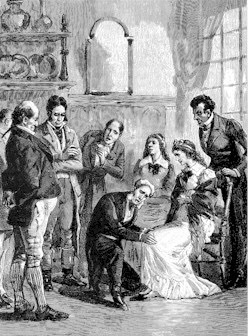 Margaret’s beloved Dr. Kane was lost on an expedition, and Kate’s husband died too, leaving both sisters devastated. They sought comfort in the other kind of spirits now, and often appeared drunk in public. Embarrassed by her now poor and drunken siblings, Leah began to make trouble for them, going so far as to even report Kate to child welfare services. On October 21st 1888, a now 54-year-old Margaret Fox was paid a large sum of money to take down the Spiritualist movement and her sister Leah with it. In front of an audience of 2,000 which included Kate, at the New York Academy Of Music, Margaret took the stage and delivered what has been referred to as the historic “Death Blow To Spiritualism.” As reported in the NY Times, she “seated herself and a committee of physicians called by Dr. Richmond from the audience who examined her to see that no deception was practiced.” She then proceeded to slip off one of her shoes, her feet covered in a plain, black stockings which then emitted a series of raps, loud enough to be heard by everyone. Margaret further explained that as young girls the sisters had set out to frighten their mother, first through little knocks and noises but then, by more creative means of tying a length of twine around an apple and allowing it to thump across the floor and ricochet off the walls and furniture. Margaret continued, saying “My sister Katie was the first to observe that by swishing her fingers she could produce certain noises with her knuckles and joints and the same effect could be made with her toes. Finding that we could make raps with our feet – first with one foot and then both – we practiced until we could do this easily when the room was dark. A great many people, when they hear the rapping imagine at once that spirits are touching them. It is a very common delusion.” Sounds are difficult to place in space and let’s face it, people will believe anything if they want to bad enough. The critics took up the mantle of I told you so, others were disillusioned and the rest, refused to believe. Just before she died Margaret Fox took it all back and recanted her confession – saying she did it for the money and that everything she and Kate did was indeed real and true. In 1904, the Fox family’s house in Hydesville, where it all began, was being torn down. In one of the walls near Margaret and Kate’s bedroom the skeleton of a man was discovered along with a suitcase full of salesman samples and a family Bible, he appeared to have been murdered just a few years before the Fox family moved in. * Granted, these opportunities were almost exclusively available to white women.